This lovely condo has a great location inside the grounds of the Buenaventura Gardens complex. This 2+2 upstairs unit features a large living room and updated vinyl frame double pane windows with a nice balcony overlooking the garden square. 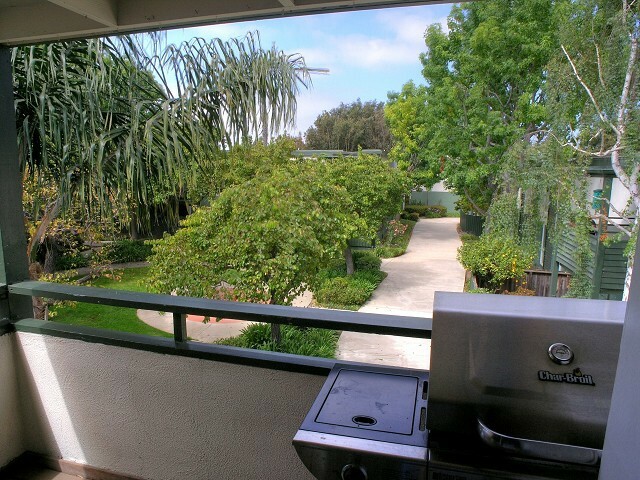 Great location, close to Buenaventura Mall, Ventura College, 101 and 126 freeways, and more. The Association features a lovely park-like setting and a community swimming pool and spa. Community laundry area as well as laundry hook-ups in the unit.